To sail across the Atlantic is by any means an accomplishment, to do it on a raft made of plastic water pipes simply lashed together with ratchet straps, takes a particular type of adventurer. This has been the dream of Anthony Smith, an explorer, author and former Tomorrow's World television presenter, who at 84 will lead a team of 3 others from the Canary Islands bound for a beach in the Bahamas 2,800 miles away. Setting off in February 2011 the planned crossing will take approximately 70 days and raising awareness and money for the charity Water Aid. Collars became involved with the project when we were approached to manufacture and supply a pair of 14' sweeps and a 26' steering oar. With no rudders the steering oar will be used for directional stability, and the sweeps as a back up or when conditions require. 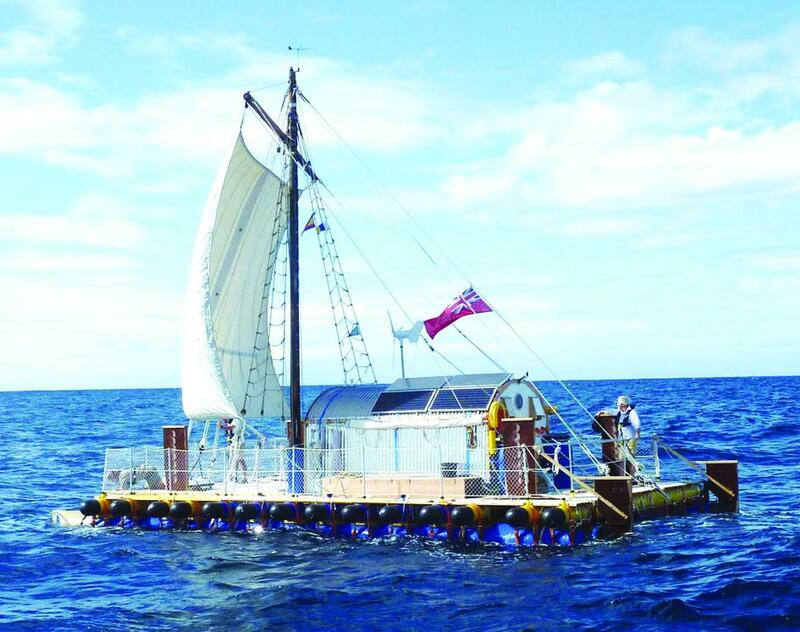 The raft follows similarities as used by the early Polynesians and recreated in 1947 by the Norwegian explorer Thor Heyerdahl and his raft Kon-Tiki. Crossing from South America to Tahiti, he and his team of five others successfully completed the trip in 101 days. Anthony Smith will be joined by by three others, recruited by a small advert placed in the Telegraph, and with a combined age of 258 years between the 4 of them, there in no question about the wealth of experience on board. For more information and to follow their crossing - www.an-tiki.com - and from all at Collars we wish them fair winds and godspeed in their crossing.